The midsize Sports Activity Coup from BMW will join the X1, X3, X5 and X6 in India as a niche model offering. Expect the top-end M40d diesel variant with the M-Sport trim to drive in, positioned just above the new X3. 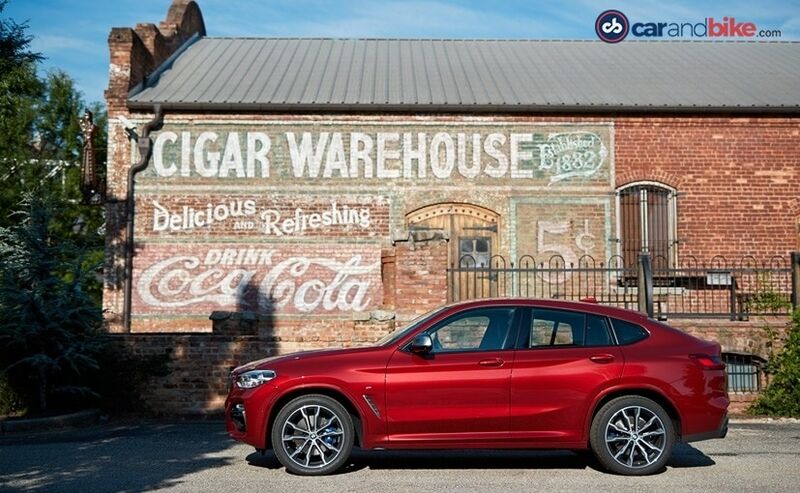 The BMW X4 represents a segment many like to scoff at, but yet one that's become a volumes spinner for many carmakers brave enough to go there. 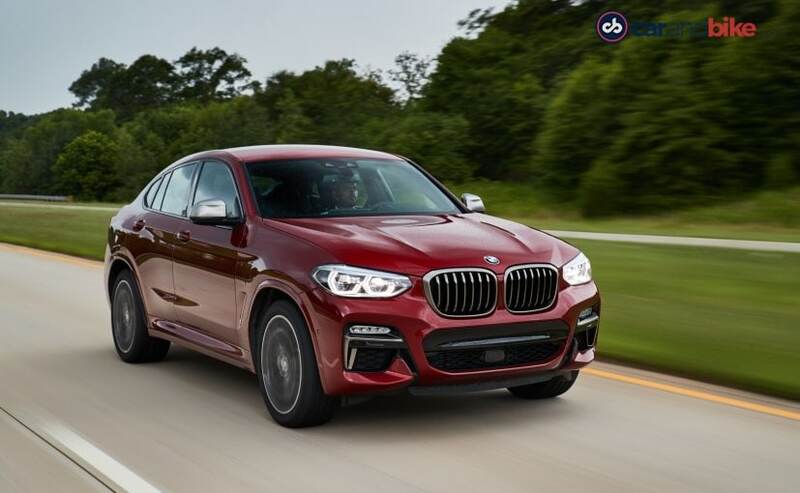 The X4 was conceived as a baby X6, and more like an afterthought when it first came in 2014 - almost as a variant to the then 2nd generation X3 - a car that was already at its midlife point then. And it sold over 200,000 units worldwide. So when BMW went in for a new generation X3, it also decided to go ahead and make the next gen X4 too. A new model change coming just 4 years in to a car's life, is a surprise - but now you at least understand why it happened. 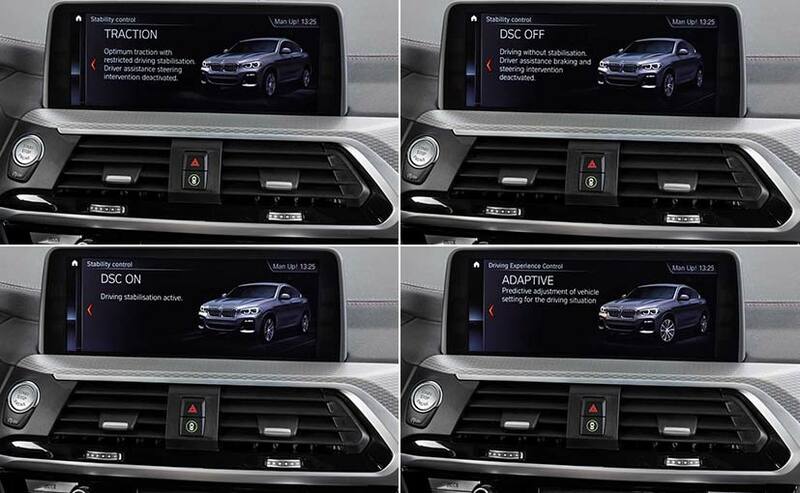 Right, so what is the new second generation X4 all about then? I am in Spartanburg, South Carolina - where it is built - to find out. 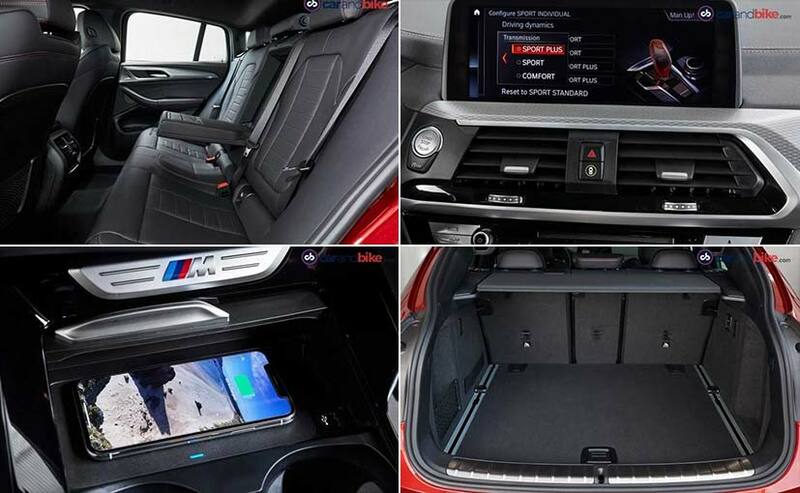 Call it the sportier alter-ego of the X3, because that is what it is. Its coupé styling with the sloping rear and flared wings do say that for sure. But it also gets a firmer suspension, wider rear track, bigger wheels, while maintaining a fair amount of - dare I say - practicality. So the sloping roof meets the body fairly high up, to afford decent cabin space. Its polygonal wheel arches are wide and have ample travel to allow for some rough-roading too. 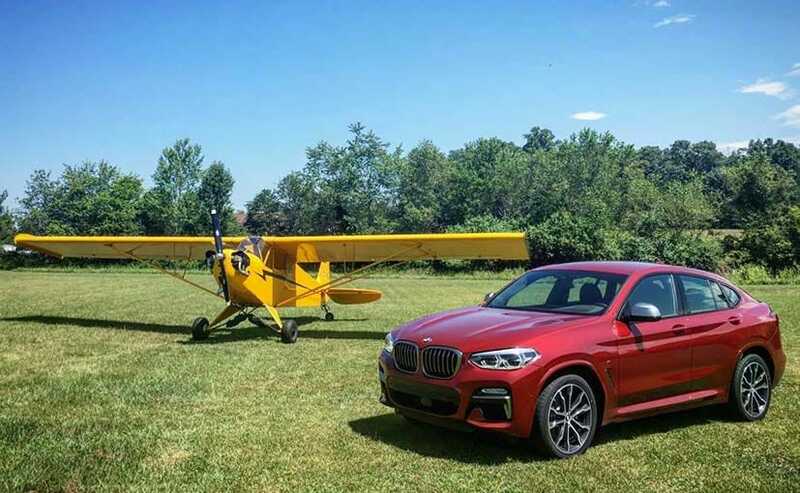 Of the six X vehicles, three of which are dubbed Sports Activity Coupe (the others are Sports Activity Vehicles), the X4 sits in the middle. It is bigger than the last car - 81 mm longer (with a 54 mm longer wheelbase), 37 mm wider, but it does get 3 mm shorter! There is muscle in the metal on the hood and along the flanks, which has been well sculpted and catches the light. And it has finally moved away from being confused with the X6 when you see one on the road. So it gets its own signature rear with very distinct taillights. I still struggle to find sheer beauty in that metal because lets be frank that segment is just weird looking (GLC Coupe and Range Rover Velar notwithstanding!). Still it's a whole lot better looking, and sexier than the last X4 - especially those taillights. Inside the cabin the styling is young, fresh and with the all-black treatment on the M-Sport trim I am driving, a tad distinct from the X3 interior. Well - only just, because the dash layout and equipment is definitely identical. 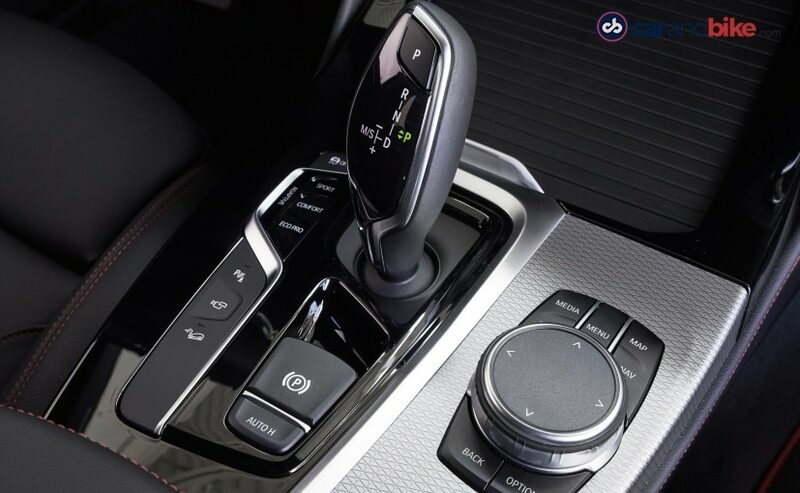 So you get everything from wireless phone charging to Apple CarPlay, head-up display to a voice commands with the latest iDrive, and the aluminium housing for the upper dash and that floating central console touchscreen. The seats are comfortable, though I'd have expected sportier race seats to be honest. The short sporty gearshift and the drive mode buttons on its left are also identical to the X3's, though the instruments get a slight tweak. So yes it is similar to the X3, and therefore also gets a similar engine lineup. But I focused my attention on the X4 M40d - the likely model for India when the car gets here in a few months time. 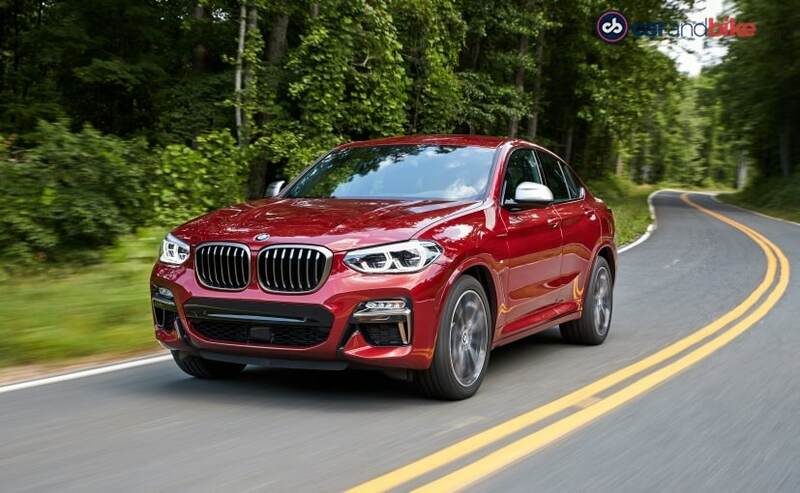 Also to quickly get it out of the way - the X4 will be a niche offering in India, positioned above the X3, and like I said with just one or maybe two engines, only in top-end trims. Is this then simply the X3 coupé? Well it's a completely different tuning on the chassis and so you get a much stiffer car. The M Sport badge brings adaptive dampers to the party - which really show up when you corner the car hard. So on the road, it is its own model, thankfully. 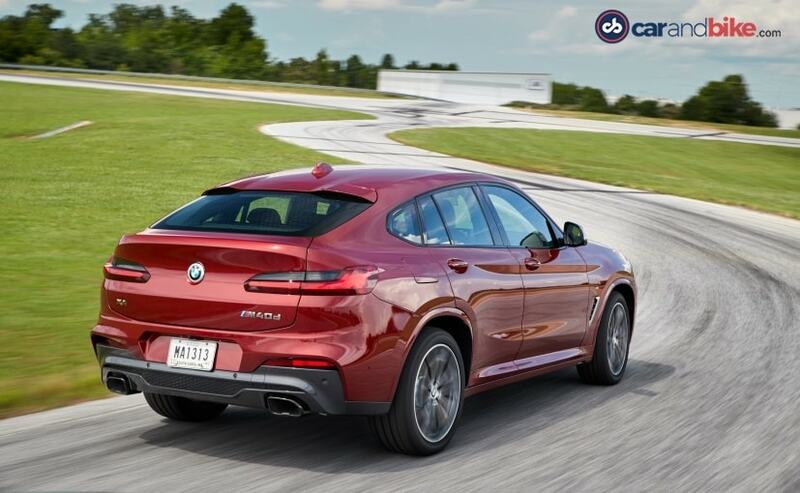 I drove the new X4 extensively on roads that crisscrossed the South and North Carolina border. The DSC system will use the brakes, individually, if needed, to keep a wheel from slipping if power is over coming grip. I got a fair share of narrow roads, broken roads, country roads and some smooth highway too. It's the sense of control and sheer grip that will grab you. At lower speeds, the car's steering is a bit heavier than I would have liked, and its gear changes are dulled when you put it into comfort mode, with an excessive delay in changes - especially when using the paddles. 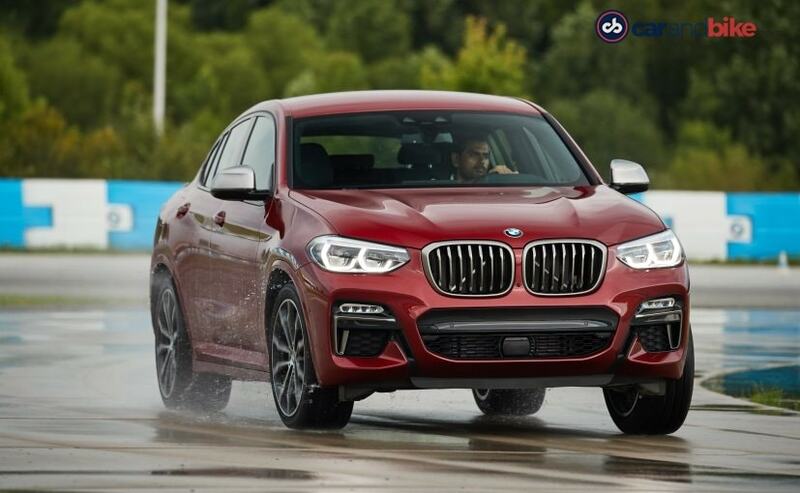 The BMW X4 M Sport gets adaptive dampers which come into play when you corner the car hard. The four wheel drive with its variable torque split does the job well though to send torque back when you step on it. And the car will get you out of sticky spots quickly. In sport mode it is quite the hoot, though the xDrive 30i was a touch more responsive. Yes this petrol variant is also being considered for India, though we are likely to get just that aforementioned 3-litre diesel at the start, like I already told you. I got rather lucky finding a little aviation company as I drove along. 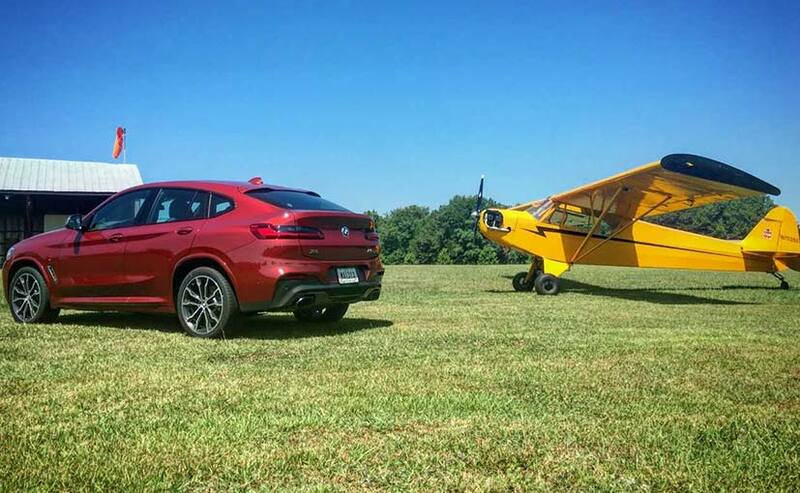 And its kind proprietor was generous enough to allow us to let the X4 pose alongside a beautiful 1946 Piper Cub light aircraft! Quite a highlight of my day I promise you! Back at Spartanburg, I also got the chance to get the X4 out on BMW's test track at its plant. The small track had two sections - the circuit like track with bends and curves and some small elevation changes; and also a skid pad for testing it in the wet. While the former allows you to really get a good sense of that grip and cornering ability I spoke of earlier, the latter lets you drift the car when you turn off the traction control! We drove the X4 on the wet track with traction control on, partially turned off and then completely off. And even though I had done this with the X6 four years ago at the same location, it was way more fun in the shorter, smaller car! We got the chance to drive with traction control on, partially turned off and then completely off. I have to say in these situations, the steering really shone bright, and did not seem heavy at all! So expect the car to be priced at around ₹ 60-65 lakh when it gets to us in early 2019. And it is expected to be assembled at BMW's Chennai plant like its siblings. A welcome addition? Yes to an extent. But I wish BMW would think of its other Sports Activity Coupé too - the gorgeous little X2. Well sadly THAT is ruled out - for now anyway.